As the Batagaika crater grows larger, it will continue to unearth ancient forests that will have disastrous effects. 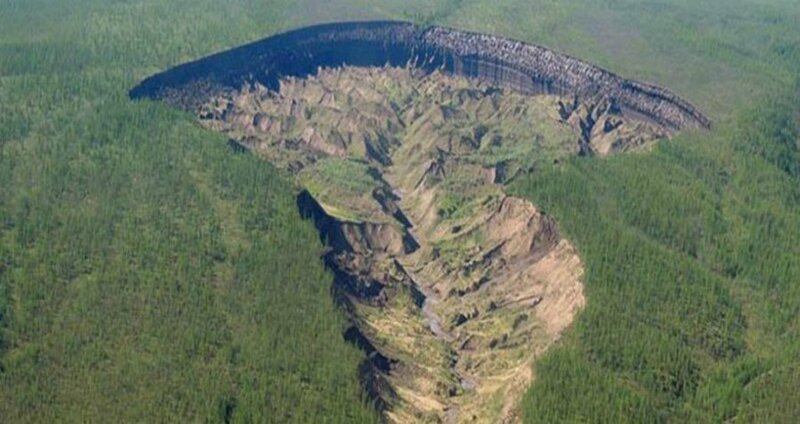 Known to locals as the “doorway to the underworld,” one of the biggest craters in Siberia is now growing even larger, causing it to unearth enormous ancient forests that will speed up climate change in the process. The Alfred Wegener Institute (AWI) has published research in Quaternary Research showing that the Batagaika crater has grown on average 33 feet per year in the last decade. In the warmest years in particular, the crater grew by 98 feet on average. Furthermore, its growth may accelerate exponentially, the AWI research team has found. A wall of the crater could reach a nearby valley within the year if temperatures continue to rise, meaning that an even bigger portion of the surrounding land will collapse. The culprit behind this growth seems to be climate change, the effects of which have caused Siberia’s permafrost to melt — and when it melts, it collapses into rather large holes. When this happens, these holes also expose buried ancient forests that are currently acting as carbon heat sinks. As these forests become exposed, more greenhouse gasses will be released into the atmosphere. The Batagaika crater is the world’s largest crater of its kind at more than half a mile wide and 282 feet deep — at the moment. Next, check out the “Siberian unicorn” discovery that shocked scientists, before finding out why more Siberian craters might spell trouble for arctic regions.